Split Words is an activity I learned about while completing Northern Speech Services’ course ‘Rehabilitating Your Approach: Maximizing Outcomes in Patients with Cognitive Impairment, Depression and Dementia’ taught by Dr. Robert Winningham and Mike Studer. (highly recommended! You get a whopping 4.5 contact hours and TONS of ideas for cognitive-communication therapy). I later went on to purchase Dr. Robert Winningham’s book, Cranium Crunches (also highly recommended! CAN BE FOUND HERE). There is a section on Split Word exercises and several pages of activities. CURIOUS ABOUT THE CRANIUM CRUNCHES WORKBOOK? This simple activity will exercise temporal lobes as one attempts to find the other part of the word. But it also requires attention in order to successfully complete all of the words, which will exercise the frontal lobes. This printable contains several lists of words cut in half. Make it personal! I created this printable as a ready-to-go resource for incorporating split word exercises into my daily treatment sessions (download link is below), but you don’t have to use it. Learn what words relate to your patients and personalize your lists to their familiar habits, hobbies and routines. Or family members names! No time to type them? Just grab some index cards – they’ll do the trick too. The last page is blank so you can write in your own words to split. I LOVE your website and how it is filled with so many great ideas with downloads all for free! I have come back here over and over again and always come away with a new idea! Thank you, thank you, thank you!! Thanks so much for the feedback! I’m happy that some of the downloads and ideas have helped someone – it’s always so refreshing to hear. Take care and Happy Holidays! 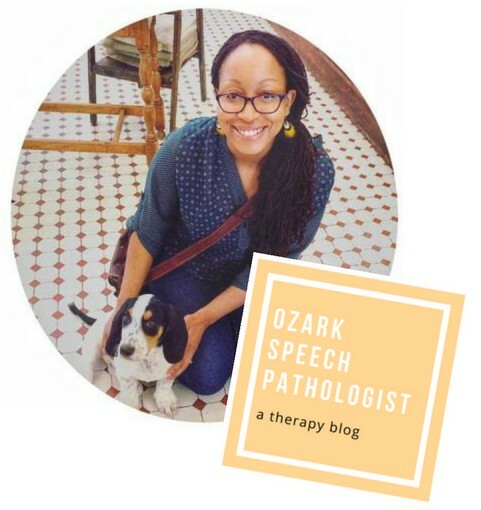 I have been working as an SLP for 30 yrs. I love your activities. I will be retiring soon. Glad to know our profession is being left in such capable, creative, and caring professional. I know it is not your goal- but hope you can find a way to make some money off your ideas. They are valuable. Look at what the SLP professionals did on Teachers Pay Teachers web site. Jessica, you deserve to get compensated for your time and effort. Raynell thank you so much for your kind words! I always feel so grateful to receive feedback from others, especially when it’s as generous as yours! I do hope to one day offer products – I need to stop procrastinating! 🙂 Thank you again and Happy New Year!